Leader – As a leader he has to reduce costs, focus on customers, improve profitability and target revenue for business growth. Strategist – Being a strategist they would enhance organizational value through product quality, financials and brand reputation while maintaining an efficient business model. Steward - As a steward they would delegate tasks and offer employees with the tools they need to outshine in their positions. Catalyst - As a catalyst they would facilitate departments to share data, leverage strengths and obtain resources in an easy and efficient manner. Cost saving is very important for every company. By moving the IT applications and workloads of dated on-premise systems both time and money can be saved. These cost savings can be used in a lot of place as and when the company requires. Innovation is such a part of the company which will help them in enhancing their future plans and expansions. One can dedicate more resources towards innovation when the IT department no longer has to manage the costly, time-consuming systems. Security of data is of vital importance to any organization. It is hard to believe that the critical applications and its data are more secured when stored with a reputed cloud-provider than administering it in-house. There are certain times where your company is in the process of expanding or maybe are dealing with the fluctuating sales seasons. At the same time it is important that the infrastructure capabilities grow with it. All this can be done easily with the help of cloud computing. The work is done easily and everyone is on the same page. It is essential to overcome the competitors. This competitive advantage can be done only when the costs are reduced and time is saved. By doing these two things one can surely come over their competitors. Why should you collaborate with Inspirria? We at Inspirria Cloudtech, adhere to NetSuite's proven NetSuite One methodology. We analyze your business needs and develop a project work-plan according to that. We design with the help of Customization Solution Design & Integration Design as NetSuite addresses your business needs. We configure the NetSuite's solution in a way that it adapts to your business. We validate the solution so that it is deployed easily. We deploy the solution and your business is now powered with NetSuite. We optimize, learn from the solution and move to the NetSuite support. 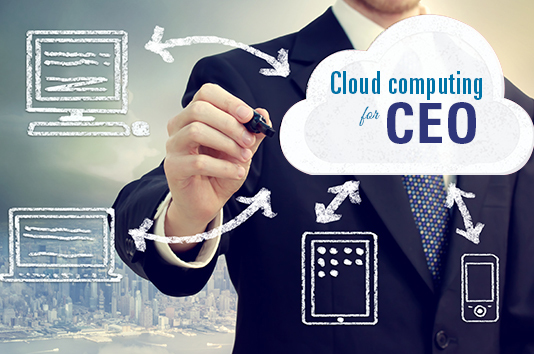 Are you a CEO and planning to set up cloud computing in your organization? We at Inspirria Cloudtech, are here to help you. You can take us as your secured cloud provider partner and NetSuite solutions with decade plus of experience working with 450+ Cloud projects. We push productivity to its optimum level with some proven solutions that are used by best companies all over the world.